I am linking up with I Heart Recess for a July Goals linky. Family: I have a 1 year old son and a 3 year old daughter. They love the outdoors, playing together and, of course, science! We were planning to go to Sea World in August, but my husband, who is a police officer, got a schedule change and we had to cancel it. Now our only chance to go do anything is a slim picking of 48 hour slots this month. What to do? We would love to go on a vacation, but it may be a stay-cation. Maybe the Dallas World Aquarium or something. 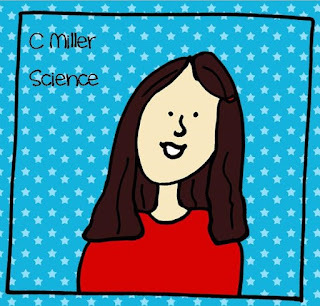 School: As the head of the science department, a new school schedule and structure, and 2 brand new teachers, we have a lot to get ready for this school year. I am super excited, and I want to help my department be ready, but I don't want to freak them out with my enthusiasm and organization. I already made them a planning calendar with all the important known dates and our scope and sequence on it. Too much? 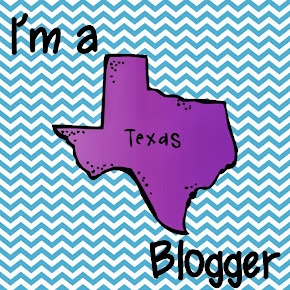 Blog/TpT: We are starting Think Tanks next year, and I have so many ideas for them. 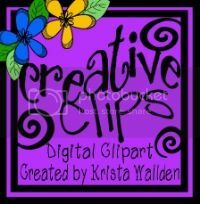 I posted a few that I made on TpT, but I have son many more I made that are not posted. I would love to get the chance to get more of those out there. They are fun to create, and the possibilities are endless! Outside the Box: My kids are both table food eaters. My 24 pound 1 year old can out-eat my 30 pound 3 year old, but who is counting? They eat all day. Breakfast is whole wheat toast/toddler cereal/homemade pancakes/eggs (the / means or not and! ), lunch is a whole wheat sandwich/pasta salad(to sneak in new veggies)/chicken, and dinner is all the food groups; protein, veggies, bread. The baby gets whole milk all day with a water and usually no juice. My daughter gets one chocolate milk with breakfast with Carnation Instant Breakfast (she is a picky eater some days), and one juice at some time during the day. The rest of the day is milk and water. In between every meal and after meals is snack time. My son would be happy with snack time all day long! Carrots, apples, broccoli with cheese, puffs (for both! ), a slice of bread, homemade tortillas, pretzels and peanut butter, and craisins are usually on our snack menu. They eat pretty well. Now mommy: pizza for breakfast, pudding for lunch, and a few bites of dinner between getting theirs, refilling milk, picking sippie cups off the floor, and cutting pieces even smaller. Usually I wrap up the day with something quick, like Nilla Wafers after they are both to bed. I am too exhausted to make or reheat anything by then! I need to eat as well as I make them eat. Maybe the vitamins really are a good idea! Well, hopefully that all tells you a little about me. 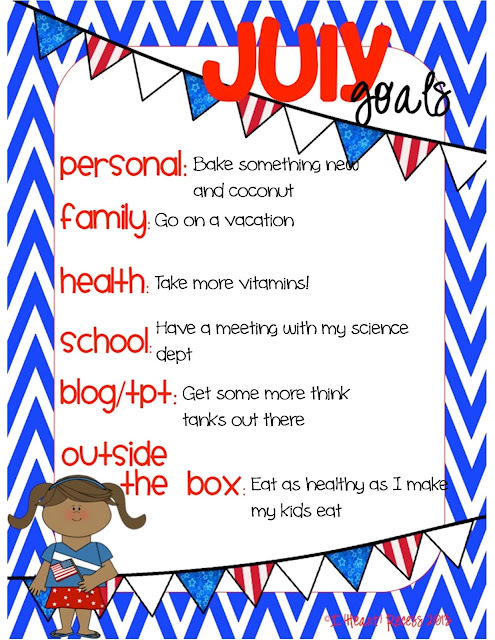 Share your July goals with us in this linky!